Indian music has undergone a phenomenal change in the course of its evolution due to the change in patronage systems. Royal patronage, followed by state and public patronage, altered the course of Hindustani music forever. Among these systems, royal patronage has confirmed to be the most conducive system for the growth of Hindustani music as an art; nevertheless, A.I.R. has been conducive for its propagation which otherwise would have been confined to the elite. This article attempts to bring forth the contribution of All India Radio towards the proliferation of Hindustani classical music, visible more so during the post Independence era till late eighties. The role of Hindustani music on A.I.R. can be viewed in three stages. In the pre-independence era, when broadcasting commenced, music was merely used on radio as means of entertainment. A few years later, radio assumed the role of educating the listener on Indian music, through the music lessons introduced as a regular feature of the broadcasting schedule. In the period immediately following the post-independence years, A.I.R. played an extensive role of "popularizing classical music". National Program of music and Akashwani Sangeet Sammelan were initiated by the then Minister for Information and Broadcasting during the early fifties. Considering the period when these programmes were broadcast live, there appears to be an earnest attempt of A.I.R. to create an atmosphere conducive for the traditional musicians of Hindustani music. National program gave a pan-Indian appeal to Indian music. It also served as an important platform both for the musicians as well as the listeners. For the musicians, it was a matter of honor accorded by the state and this considerably helped in escalating the social standing of the musician, besides getting a wide acclaim for one's art. Till independence, although classical music had already found place in broadcasting, it was at a regional level and the number of broadcasting stations were also limited. With the expansion of the broadcasting network, National program reached the remotest station. The very fact that this slot has been allotted ninety minutes, speaks of AIR's supportive role towards classical music. National program of music gave a pan-Indian audience to the musician in a single session of ninety-minute recital. This program was definitely a great achievement of A.I.R. in the propagation and dissemination of classical music for the music lovers also. Through these broadcasts, the music of the stalwarts in Indian music reached the layman and played a crucial role in developing a musical culture in smaller places. National programme of music has played a very crucial role in introducing Hindustani and Carnatic music in different domains and the listenership for the respective music has increased considerably and this has also been reflected in the concert practices too. Although A.I.R. was never a good paymaster for the casual artist to sustain a decent living, yet it offered opportunities for musicians, specially the upcoming musicians. The chain-booking facility provided by A.I.R organized several concerts of the same musician in the areas near the radio station. So, besides a chunk on the radio, this musician also had the opportunity to perform live before different audiences. It is indeed unfortunate that this feature is missing today. A very significant contribution of A.I.R. to Hindustani music is, that of a permanent employment in a government controlled medium. Considering the uncertainties involved in the incomes received from the profession of music, role of A.I.R., especially in the early years of Independence, created employment opportunities for musicians. This is very crucial considering the fact that till today, there has hardly been any other organization than A.I.R. that has given the staff artists, all privileges of a regular government employee. The voice through radio is a disembodied voice; separated from its producer. During the early years of broadcasting, disembodied voice on radio became the identity of the unseen musician for the listener. For the first time music, unaccompanied by adakari was propagated on a massive scale. This helped the women from "respectable" homes, to sing on radio. For one, the singer was no longer visible and secondly, the place where they had to sing was a government-owned media, which meant a respectable domain. Duration in Hindustani music was first curtailed with the advent of sound recording technology, through the 78 rpm records. This duration could not be the accepted norm for performative practices in Hindustani music ; but at the same time, Hindustani music needed to adapt itself to the changing social conditions, patronage and the rapidly emerging music industry in the early decades of the twentieth century. This is when broadcasting offered an alternative solution to the problem by providing fifteen, thirty, forty, and sixty and finally ninety-minute chunks to musicians. Interestingly, more or less, these durations seem to have been absorbed in the contemporary music practices. 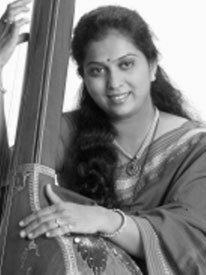 While Vividh Bharati played a significant role in building up the listenership for classical music by introducing Sangit-Sarita, it also educated the listener by furnishing the details of the raag. The repetitive nature of the broadcasts helped in creating a strong impression of a raag music on the new listener. Thus, through an encapsulated fifteen-minute chunk, it has been responsible for the birth of a new generation of listeners who were not necessarily the students of classical music, but music lovers who could relate to classical music and appreciate it. This is significant as classical music does require a discerning audience. All India Radio has been a great aid to music education. Due to the proliferation of music on a mass scale, the students of music have been benefited. Listening to a number of singers from different gharanas, listening to different genres of classical music has cultivated the musical perception of the student. It is beyond any doubt that A.I.R. did the best in the interest of propagation of classical music. However, there are a number of problems that it is facing today. To say, it has yet to address the problems created from the rapidly growing technical advancements and the stiff competition from alternative radio channels. For the musicians, job opportunities through A.I.R. need to be reviewed. There is a great scope to revive the music tradition again in this area. This and many more probable questions need to be addressed seriously by the Government, the musicians and the music lovers. Senior disciple of Kathak exponent, Guru Shama Bhate, Vidula is a part of the performing troupe of Nadroop (kathak institution headed by Shama Bhate) and has performed in several choreographies. An art historian and researcher, Vidula has special interest in interdisciplinary studies. Being a topper in indology masters, she is currently pursuing her Phd and presented research papers on relevant subjects at international level. Jonathan Hollander, president and artistic director; founder and choreographer of the US-based Battery Dance Company, is more than an inspiration for every dancer around. In 1982, he created the Downtown Dance Festival (now renamed Battery Dance Festival) which is known to have become New York City’s longest-running dance festival. After decades of collaborations with Indian art forms, he thinks that there is still a lot left to be explored. Dr. Poorva Shah, primarily a dermatologist from Pune, is a young and promising Kathak dancer creating a niche for herself in the realm of Indian Classical Dance. A student of Guru.Yogini Gandhi, she is currently also taking guidance from Pt. Birju Maharaj. She runs her private practice by the name of ‘Derma Centre’ and also on the faculty and a Consultant Dermatologist at The Ruby Hall Clinic, Pune. Dancers, take care of your health! MA (Dance), Nritya Visharad, M.Com, and Diploma in journalism are her formal qualifications. A disciple of well known Bharatnatyam exponent Guru Dr Sucheta Chapekar, she received her initial training from Guru Dr. Vasundhara Shreedharan in ‘Pandanallur style’. She is currently working as a faculty for dance at FLAME University, Pune.